Erin Rages: I have the cutest little dishwasher. I have the cutest little dishwasher. 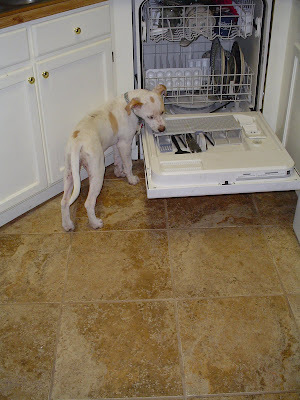 Daisy has followed in Lewis' bad habit of licking the dirty dishes while I'm loading them into the dishwasher.